The April edition of the Australian Goat World Magazine has been released. The February edition of the Australian Goat World Magazine has been released. The October edition of the Australian Goat World Magazine has been released. The June edition of the Australian Goat World Magazine has been released. The August edition of the Australian Goat World Magazine has been released. 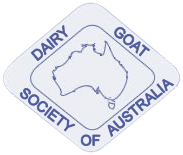 © Dairy Goat Society of Australia Ltd.